What can you do about that conundrum? Many employers will post a minimum level of experience that they would like their applicants to have, but often times that is just on their "wish list" for the perfect candidate. While we don't suggest that you go applying to jobs that state they would like 15 years managerial experience, there are things you can do to get your foot in the door with limited experience. Having ZERO experience can be limiting, but if you are reading this blog you are already interested in your career path and will be willing to take steps to gain some relevant experience... right? Right. Some of the ideas below may help you build your skillset. Many skills (and transferable skills that are applicable to all employment) can be gained through volunteer work. The types of volunteer positions out there are endless and can be tailored to suit your career goals. Often times organizations are very happy to have volunteers, even if only for a few hours. Volunteering is something that can easily be squeezed in to a busy school schedule. Start early to accumulate the most experience, but do not be shy about starting if you are almost graduating, or have graduated. Blogging or other types of website management are useful technical skills to have. Blogging for an organization as a volunteer is useful for exploring topics that may be outside of your familiarity zone. Managing a career/ industry related blog helps you to stay current on trending issues and shows your interest in your field. Managing your online presence is so important. Having a work appropriate online presence can be created through linkedin, twitter, involvement in online industry related forums or groups ( many can be found on linkedin). Have you googled yourself? What comes up? Many employers will google you and check you out online. Take control of your image and make it as wonderful as you are. Temporary work contracts may be available to both undergraduate and graduated students. Keep in mind, it may not be your dream job right off the bat, but its a foot in the door, and any experience is good experience. Short contracts are excellent for networking and creating relationships with people in your field. If it went well you will have gotten some experience, and hopefully a glowing positive reference letter that will help you gain more experience in the future. Involving yourself in the many different on campus activities can give you experience in a vast variety of different situations. Some of the ones that come to mind for me are: politics, event management, administration, project management, volunteer coordination, and the list goes on. On campus involvement allows you to grow as an individual and improve upon your leadership skills. If you start early, you may be able to "work your way up" the ladder and take on a leadership role in your later years of school. These higher positions speak volumes about your personality, dedication, and transferable skills and shows you are able to act as an ambassador - an important trait for any business. Summer time is a great time to get a job and start racking up your experience. Starting with jobs that give you a wide variety of transferable skills and building from there is an excellent way to boost your level of experience. You learn how to work with different people, in different situations. 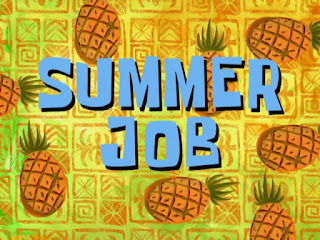 It doesn't have to be your dream job just yet, but if you can find a picture perfect summer position that's even better! Come on in to Career Services if you would like any advice on how to get involved on campus, or find a volunteer or job opportunity that suits your career related goals. We would love to help you!